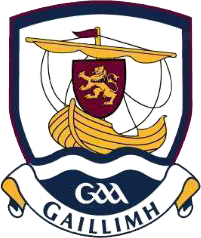 Front Row: (left to right)Trevor Ryan, Niall Forde, Brian Quinn, Gavin Lally, Michael Cummins, Tadhg Linnane, Gerard O'Donoghue, Albert Mullins, Silvie Óg Linnane, Richard Cummins, Sean Forde, Kaelen Higgins, Enda Linnane, Jason Grealish, Jack Grealish, Peter Cummins. Back Row: (left to right) Conor Helebert, Darragh Linnane, Calvin Finn, Pakie Lally, Greg Lally, Michael Mullins, Paul Killilea, Gerard Quinn, Aidan Harte, Darren O'Donoghue, Mark McMahon, Aidan Helebert, Jack Commins, Ronan Burke, Darragh Roche, Wayne Walsh and Martin Nestor. Front Row: (left to right) James Skehill, Luke O Connor, Padraic Dolan, Pakie Garvey, Emmett Malone, Jarlath Mannion, Kevin Kelly, Michael Broderick, David Broderick, Daniel Nevin, Patrick Egan, Declan Cronin, Damien Joyce, Stephen Creaven. Back Row: (left to right). Jonathan Shaughnessy, Cathal Maloney, John Mitchell, Martin Larkin, Mark Loughnane, David Shaughnessy, Alan Loughnane, Darragh Dolan, Christopher Donnellan, James Garvey, Eanna Garvey, Sean Garvey, Ronan Garvey, Paul Claffey, Alan Dolan, Conor Loughnane and Daniel Loughnane. Front Row: (left to right) Darragh Keane, Aaron Van Niekerk, Shane O'Reilly, Michael Mullins, Oisin McLoughlin, Keith Keady, Ronan Byrne, Colm Flynn, Ryan Shaughnessy, Stephen Parr. Back Row: (left to right) Cathal Keane, Dean Healy, Darragh Rohan, Ciaran O'Dwyer, Darragh Hynes, Cathal Hardiman, Paddy Hannon, Aidan Higgins, Dermot O'Halloran, Damien Fahy, Stephen Madden and Enda Gannon. 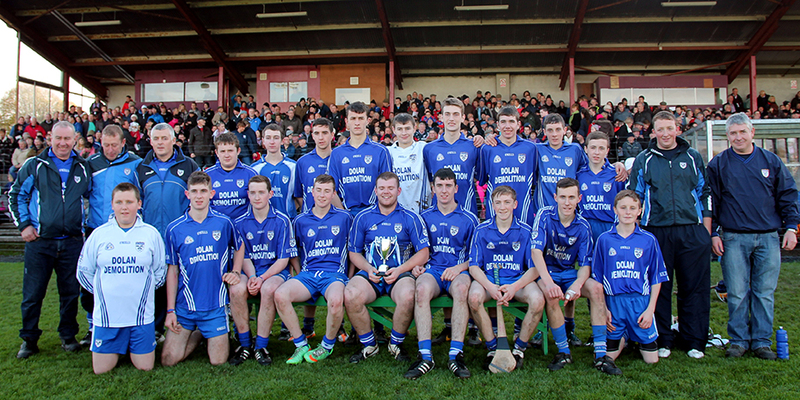 Front Row: (left to right) Mattias Coleman, Peter Hession, Colm Monahan, Cathal Gaffney, Ronan Creaven, Damian Comer, Fergal Doherty, Eoghan Pierce, Shane Collier, Paul Newell, Adrian Murphy, Martin O'Neill, Enda Mullarkey, Cathal Óg Coen, Martin Hession and Aaron Hardiman. 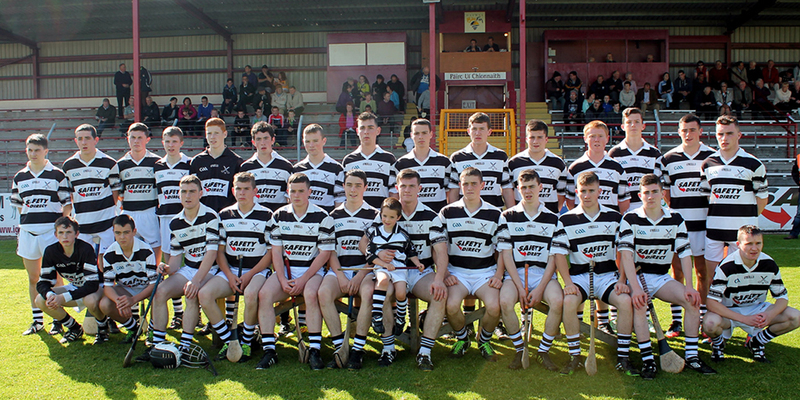 Back Row: (left to right) Ronan Leonard, Jonathan Farragher, Michael Hanley, Luke Heneghan, Conn Butler, Ronan Newell, Paul Lynch, John King, Jonathan Comer, Darren Groarke, Brian Creaven, Niall Kineen, Tomás Burke, Niall O'Keeffe, Alan Newell, Eamonn Coffey, John Conway, Andrew Goulding, Christy Burke, Martin Duggan, Darragh Scully, Padraic Glynn and Kevin Hardiman. Front Row: (left to right) Rhian Maher, Kian Hogan, Niall Geoghegan, John Flaherty, Rory McInerney, Simon Dunne, Stephen Flanagan, Sean Bannon, Jason Costello, Declan O'Dea, Ross Malone. 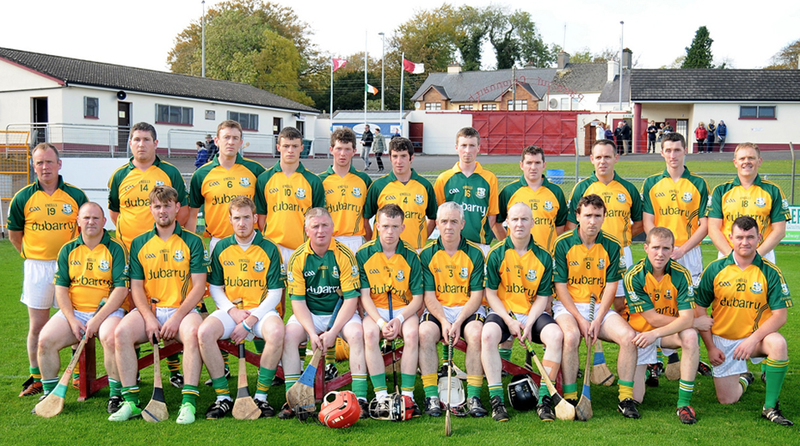 Back Row: (left to right) John Burke, Aidan Diviney, Mark Hanniffy, Marcus Quinn, Robert O'Grady, Liam Keane, Brendan Hanniffy, Sean McInerney, Carl Howley, Liam Keavney, Alan Burke, Shane Geoghegan, Eanna Burke, Nial Emmes, Eanna King, Jack Greally, Eoin Byrne, Noel Qualter. Front Row: (left to right) Mark Fahy, Daniel Loftus, Conor Shaughnessy, Daniel Burke, Keith Herwood, Barry Callanan, Matthew Hession, mascot, Sean Linnane, Brian Callanan, Karl Conneely, Eoin Whelan, Cathal Whelan and Ronan Duffy. Back Row: (left to right) Conor Phillips, Stephen Doyle, Gearoid Linnane, Michael Naughton, James Murphy, Cillian Hurney, Shane Moores, Jamie Holland, Sean Loftus, Richard Doyle, Dara Joyce, Shane Dunleavy, Cian Mullen, Padraig Kearney and Ultan Hurney. 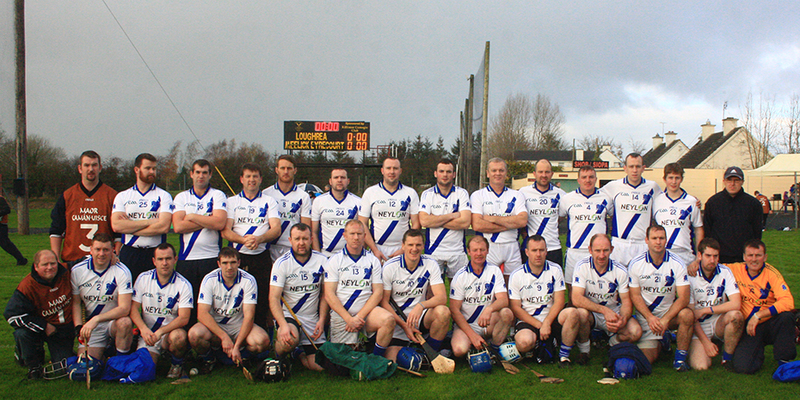 Front Row: (left to right) Peter Hession, Martin Hession, Eamon Coffey, Enda Mullarkey, Brian Creaven, Cathal Og Coen, Aaron Hardiman, Paul Newell, Fergal O'Doherty, Seamus Collier, Martin O'Neill, Eoghan Pierce, Cathal Gaffney, Jonathan Farragher, Andrew Goulding, Adrian Murphy. Back Row: (left to right) Christy Burke, Martin Duggan, Michael Hanley, Ronan Creaven, Luke Heneghan, Ronan Newell, Paul Lynch, Jonathan Comer, Darren Groarke, Colm Monaghan, Niall O'Keefe, Tomas Burke, Mattias Coleman, Niall Kinneen, Alan Newell and Ronan Leonard. 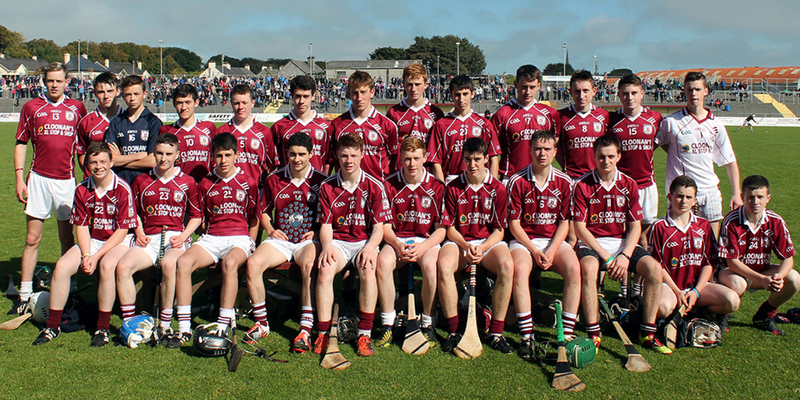 Front Row: (left to right) Leon Broderick, Killian Campbell, Iarla Muldoon, Michael Dolan, Michael Carroll, Sean Frehill, Diarmuid Claffey, Jack Kelly, Oisin Tully. Back Row: (left to right) right: Sean Jennings, Peter Campbell, Michael Flynn, Peter Lyons, Kevin Curley, Emmett Curley, Kevin Jennings, Shane Kilkenny, Jason McEvoy, Joseph Jennings, Evan Campbell, Liam Downey, Colm Finnerty, Tommy Lyons. Front Row: (left to right) Matthew Loughnane, Adam Conneally, Martin Cullen, Cian Burke, Ryan Shaughnessy, Stephen Parr, Colm Flynn, Ronan Byrne, Conor Gillen, Patrick Holland, Shane Kindregan. Back Row: (left to right) Padraic Corcoran, Conor Byrne, David Higgins, John McGough, Cathal Moran, Ian Haverty, Conor Moran, Ian O'Shea, Sean Coleman, Liam O'Grady, Ronan Hardiman, Luke Conneally and Stephen Madden. Front Row: (left to right) Stephen Glennon, David Porter, Benny Ruddy, Kenneth Maloney, Aaron Brereton, Paul Cloonan, Brian Cloonan, Brian O'Donovan, Gerard Hanley and Ollie Newell. Back Row: (left to right) Eamon Gilligan, Noel Kelly, Mark Whiriskey, Cathal Reidy, Paul Cawley, Anthony Ryan, Ciaran Minogue, Paul Flynn, John Whtye, Ross Slevin and John O'Meara.